This Light Award is sponsored by Fun Mind Puzzles and processed through Kiva.org. Remedios is a married woman with seven children. She is a very hardworking entrepreneur. She is 45 years old, and five of her children are currently in school. Remedios has a fruit vending business in the Philippines. 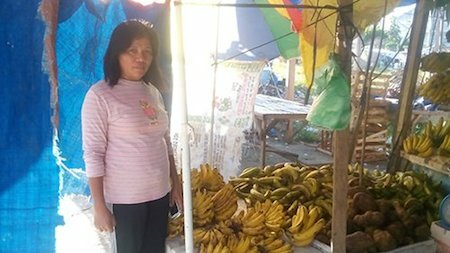 She requested a PHP 28,000 loan amount through NWTF to purchase more fruits to sell to her customers. Remedios has been in this business for five years. In the future, she would like to save enough money so she could afford to send her children to college. Congratulations to the Remedios in the Philippines..!